Investigate what happens when two different aqueous solutions are electrolysed using inert electrodes. Descibe the tests for both hydrogen and chlorine. Explain why copper was deposited at the cathode for copper(II) chloride, but hydrogen gas was produced for sodium chloride. Higher Tier - Write half equations for each of the electrodes in both experiments. A student conducts an investigation to find out what is produced during the electrolysis of sodium sulfate. Describe how the student could carry out an investigation, and show (using ions) what is given off at each electrode. Add sodium sulfate solution to a beaker, and connect two electrodes to a power supply. 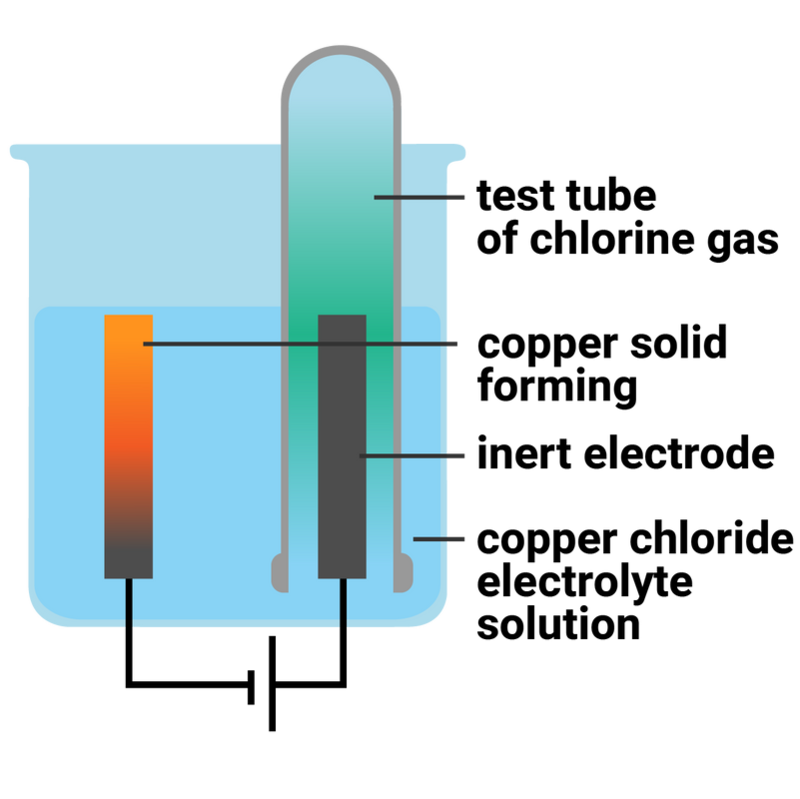 Completely fill two small test tubes with sodium sulfate solution and position a test tube over each electrode, then turn on the power supply and observe what happens at each electrode. Wearing safety glasses, add sodium sulfate solution to a beaker, and connect two inert electrodes (make sure they do not touch) to a power supply. 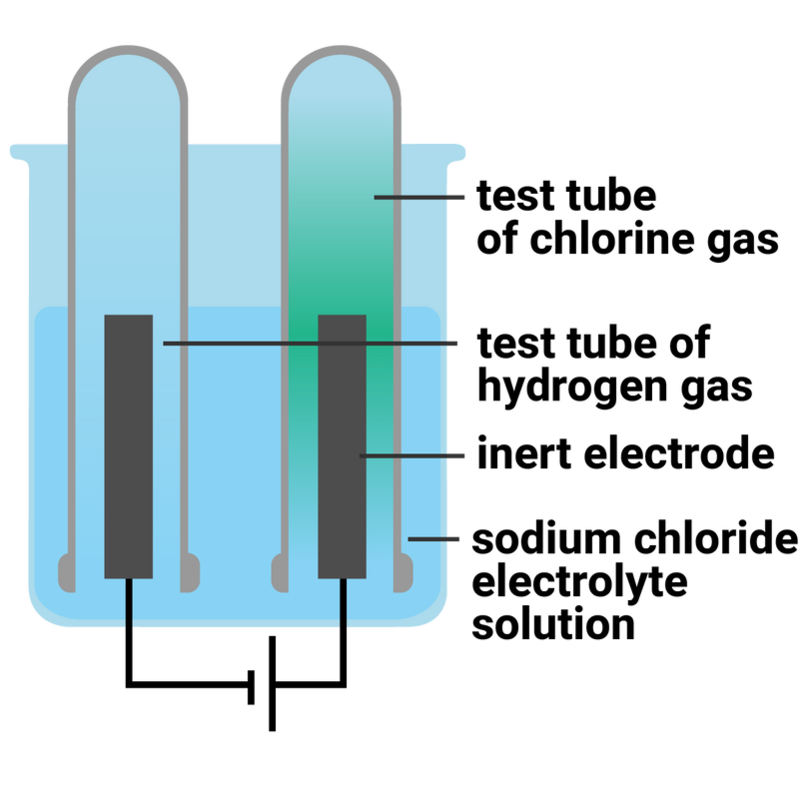 Any gases produced can be collected in the test tubes and tested (squeaky pop test - hydrogen, relight a glowing splint - oxygen).